Meticulous planning, flawless execution, years of hard work and the blessings of the Almighty, transformed a dream and vision, into one of the most modern and state-of-the-art hospitals in India. Kokilaben Dhirubhai Ambani Hospital was inaugurated by the then Hon. Chief Minister, Shri. Ashok Chavan in the presence of Smt. 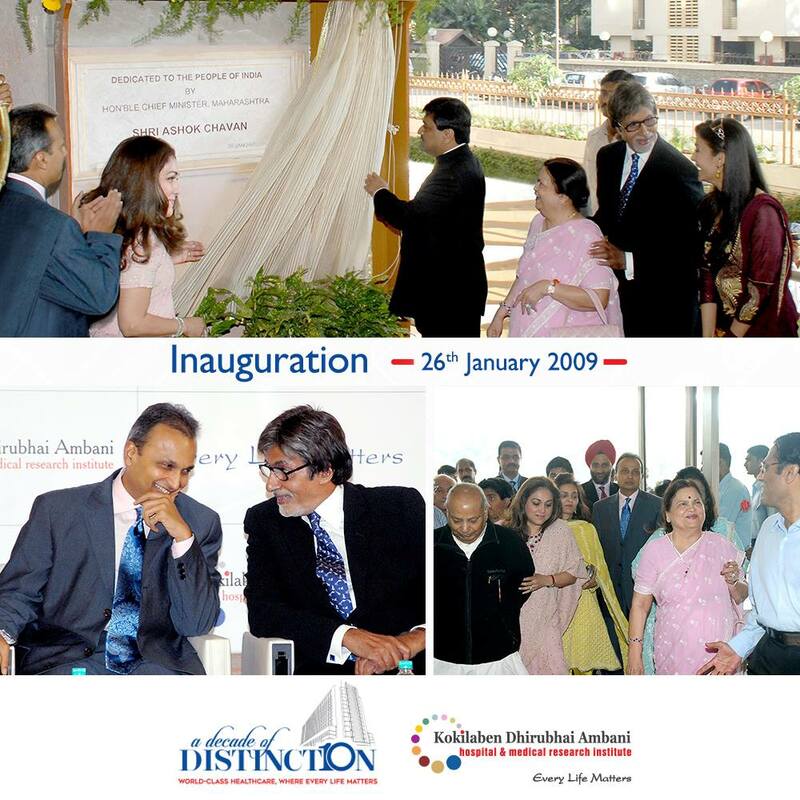 Kokilaben Dhirubhai Ambani, Mr. Anil Ambani, Chairman, Reliance Group, Mrs. Tina Ambani, Chairperson, Kokilaben Dhirubhai Ambani Hospital and Reliance Hospitals, Shri Amitabh Bachchan and Smt. Aishwarya Rai Bachchan.